I've always seen Karl Marx as more student of capitalism than enemy, teacher, or sage. The question is, what is the value of any revolutionary theory today? The medium is still the message in an age where you, you, you, and I can all choose to be editors and publishers of our lives, for better or worse reasons, regardless of content and the intentions of the gatekeepers; increasingly you and I. This film (shout to vonSchadow) provides an adequate answer to this question. Theory that today must be considered revolutionary at its best promotes contemplation, empowering through access to perspective, inspiring over fear the use of judgement. 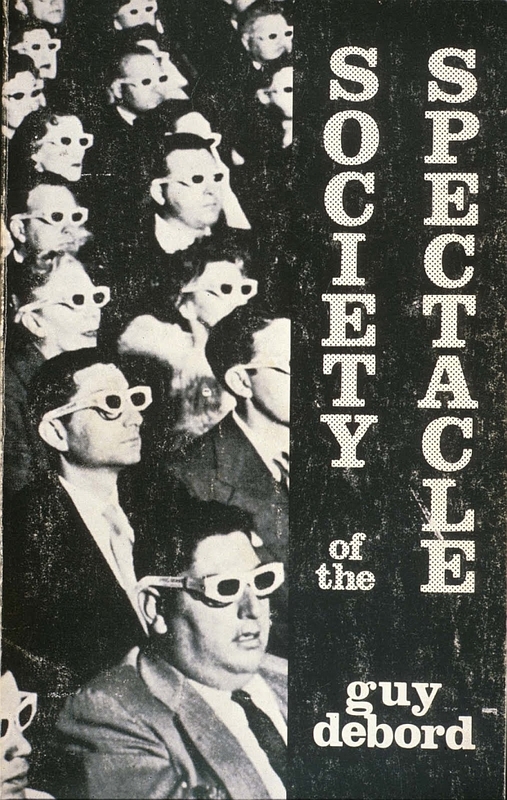 In a society dominated by it, the spectacle in effect renders us totally paralyzed -- often subconsciously -- if we are not engaged in the negation of it from a point outside of it, which is increasingly difficult. Now, if the philosopher were the actual creator, theory would resemble instruction. It's frightening that this is claimed and accepted as true at times, but the notion of the separate actor is still necessary because this is not true. The obvious message here is that life, if it's to be made and kept good for us, is to be lived ever more considerately. We should read all instruction manuals with seriousness and care and where there are none, soak up perspective, consider, and prepare to make the road and instructions by walking. It's testimony to the power of the serious and active student of non-virtualspectacle reality that Karl Marx is as polarizing of a figure as he stands today. For students of real yesterdays, todays, and tomorrows, consider this.